“I know what we are going to do today!” – one of our favorite catch phrases from Disney channel’s Phineas and Ferb animated television show. 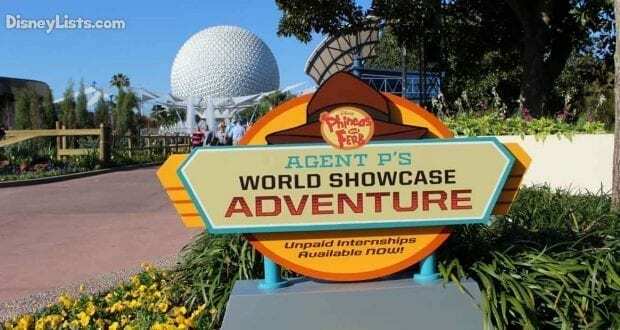 Today, we are going to head on over to Epcot and take on the challenge of Agent P’s World Showcase Adventure! Do you have Phineas, Ferb, and Perry fans in your household? 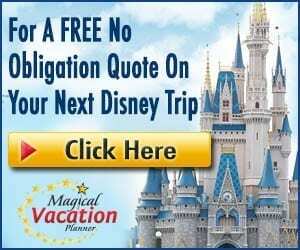 If so, this is the perfect way to explore Epcot’s World Showcase in an exciting adventure for children, tweens, teens, and even adults. So, let’s “seize the day” with 5 things to know about Agent P’s World Showcase Adventure. In the television show, Phineas and Ferb are brothers and have an over the top controlling sister, Candance, that is always trying to get them busted. She’s constantly saying “you’ve got to see what Phineas and Ferb are doing!” because they are always up to something that excels most summer activities – such as building their own rollercoaster through town! One way or another, the great concoction Phineas and Ferb created magically disappears by some strange chance before Candace can bust them. Phineas and Ferb also have a pet platypus called Perry. A twist to the normal household pet – Perry is actually a secret agent… “Agent P”. Perry lives a double life (unbeknownst by his family) as an agent for a government organization of animal spies where he receives missions to uncoil the sneaky plots of his arch-nemesis, Dr. Heinz Doofenshmirtz. Isabella is the neighbor and best friend of Phineas and Ferb, but is especially known for her crush on Phineas. She arrives in almost every episode by asking, “What’cha Doin?” You might find yourself asking the same thing when you see someone on their secret mission at Epcot! Agent P’s World Showcase is much like a scavenger hunt that spreads throughout the World Showcase – including 7 of the country pavilions. Test your secret agent skills by cracking open clues that will make something take place that only you as a Secret Agent can make happen as you defeat Agent P’s arch-nemesis (Dr. Doofenshmirtz) before it’s too late! Get ready to defeat whatever evil scheme Dr. Doofenshmirtz is up to next! If you choose to accept the challenge, you’ll want to head over to the recruitment center on the Odyssey Bridge on your way from Epcot’s Future World into the World Showcase. Located on the left of the Odyssey Bridge when coming from Future World, you’ll spot the sign with Agent P on the blue building and kiosk. At this recruitment center, Cast Members stand by to give you a briefing of your secret mission and all the information you will need. You will need a smartphone with internet access. The Cast Member will then provide you will a website and code to enter. This will active your secret mission and you can begin traveling through the World Showcase. Major Monagram and his intern Carl at the agency will send you a series of clues via this site that must be solved before Dr. Doofenshmirtz wreaks havoc! With this being said, you can take your time through the World Showcase as the website guide will wait for you to prompt it. Dr. Doofenshmirtz might threaten to take over “the entire tri-state area”, but you are the agent that can stop him with a visit to 7 different countries around the World Showcase including China, France, Germany, Italy, Japan, Mexico, and the United Kingdom. Your smartphone will prompt you to multiple locations in each of these countries. You can plan to spend roughly 30 minutes in each country uncoiling Dr. Doofenshmirtz’s plans. For example, you may be asked to stand next to the fountain in Mexico. Once at this location you press a button on your smartphone and something will happen such as seeing Agent P appear in the balcony window. No worries however, as your smartphone will tell you where to look for the action! It’s extremely cool knowing that you triggered these hidden Agent P experiences with the touch of a button. Leave Dr. Doofenshmirtz yelling, “Curse You, Perry the Platypus!” with a few tips to make the most out of your secret agent mission. Agent P’s Adventure once offered F.O.N.E. (Field Operative Notification Equipment), but now have moved solely to personal smartphone use. The Disney website states F.O.N.E. equipment is still available, but when we were there to sign up in November of 2016, Cast Members informed us we would need to use our own phones. Be sure to use Disney’s free Wi-Fi so you don’t use your data. The recruitment centers hours are typically 11am to 5pm – open every day. While you can still play the game past 5pm, you need to arrive at the recruitment center before closing to be given a code to play. There is no extra cost for this – it is all included in your park ticket. We’ve learned it’s best for preteens, teens, and adults to navigate the experience, but younger children will enjoy the excitement of watching the clues unfold. Our 8-year old loved navigating but our 2-year-old was ready to keep moving. Us adults thought it was cool! This is especially a fun activity if you are looking to spend most of the day in the World Showcase. Travel at your own pace and enjoy the shops/restaurants along the way! In the catch phrase delivered regularity by Phineas, we hope you have a chance to “Seize the Day” with Agent P’s World Showcase Adventure!